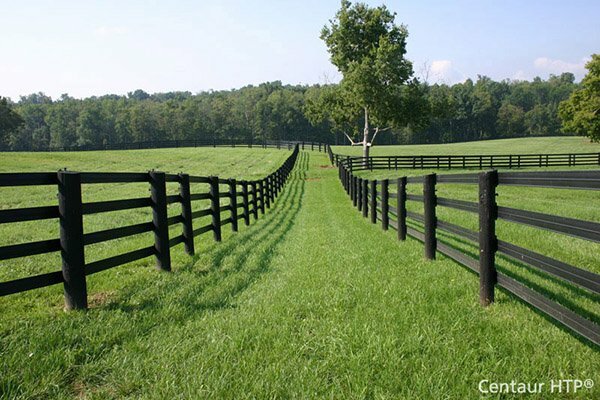 Wood to Round Steel Post Adaptors - Line Configuration | Hoover Fence Co.
Wood post adapters allow one to mount regular 2 x 4 wood rails of a fence section to a steel galvanized round post. These are very handy when one wishes to install a wood fence on top of a concrete surface. Simply core drill the proper size hole into the concrete surface, cement in galvanized fence post (like the ones used on chain link fences) and attach these brackets with the set screw. Next attach with screws 2 x 4s to these brackets which provide a shelf-like connection. Brackets are available for 2" O.D., 2-1/2" O.D., and 3" O.D. steel galvanized posts. Product is usually available for immediate shipment.